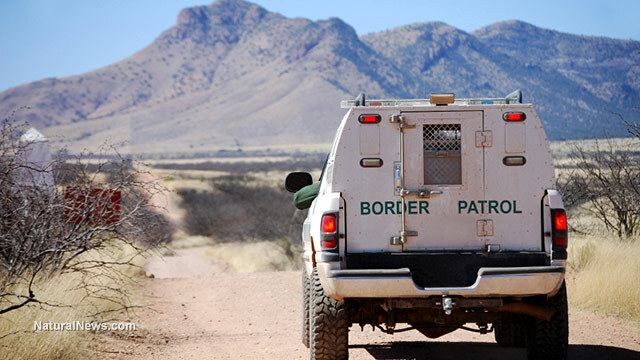 (NaturalNews) Border Patrol agent Hector Garza, in a recent interview with Fox News Channel host Sean Hannity, said that despite agents along the U.S. southwest border being inundated with tens of thousands of illegal border crossers in recent weeks, most nevertheless went to work with positive, upbeat attitudes. It appears, however, that attitudes might be taking a hit, as the Obama administration pushes policies that are anathema to American ethics and national security requirements. According to the Guerilla Media Network (GMN), an "exclusive expose" regarding the standoff in Murrieta, California, between local and federal law enforcement and residents opposed to the government's shipping of scores of illegal aliens to the community, "a confidential informant inside the Murrieta U.S. Border Patrol facility" says "the real reason busses stopped delivering illegal immigrants was due to a virtual mutiny" within the agency's ranks at the station. GMN reported further that a recorded telephone interview with "a highly credible and prominent Murrieta community leader" on July 14 "revealed that frontline U.S. Border Patrol agents threatened to stand down if the Department of Homeland Security executed a plan to use force upon protestors if they impeded buses transporting undocumented immigrants into the Murrieta processing facility." Murrieta is the only location where local residents have been regularly protesting and opposing placement of undocumented aliens that have crossed illegally into the U.S. in recent weeks. "Most of the Border Patrol agents here at this facility are residents of Murrieta, and when they found out that the DHS was going to come in with riot gear, the agents declared that they would not obey any unlawful orders which violate the Constitutional rights of peaceful protestors," said the informant, according to GMN. "Our contact inside the U.S. Border Patrol told us that we do not even realize how impactful the protest was....it was a shot heard around the world....all the way back to Guatemala; Mexico, and not just the U.S. Government....the influx of immigrants coming over the border has decreased from 1500 per day down to 800 per day...cut almost in half as a direct result of what we've done." Sources said that frontline Border Patrol agents are essentially refusing to perform any act that they deem unconstitutional upon protestors, intentions which they made perfectly clear to supervisors, GMN reported. As a result, DHS could not proceed with delivery of subsequent busloads of illegal aliens to Murrieta. GMN said that local police were standing with the U.S. Border Patrol officers in refusing to unconstitutionally engage and/or limit protestors' First Amendment right to assemble peaceably for just such purposes. On June 23, 2014, local residents of Murrieta California express[ed] their will to prohibit the U.S. Government's lawless policy of transporting and dumping immigrants who are being allowed into the United States without proper documentation to verify they do not have a known criminal history; processing immigrants without proper medical screening; accepting busloads of immigrants at overcrowded facilities without regard to capacity, as well as dumping of unlawfully admitted immigrants in communities all over the United States. The Border Patrol whistleblower has also expressed concern about retaliation by the U.S. government for his willingness to speak up about unlawful and unconstitutional requests and conduct he has observed within the local branch of his agency. He went on to ask that all whistleblowers receive some form of legal protection from government retaliation -- over and above what the federal Whistleblower Protection Act already provides -- and that Congress hold public hearings to look into alleged wrongdoing by the Obama administration in actions taken regarding the current border security crisis. "My contact has pleaded with community leaders to reach out to our local Congressman and demand Congressional inquiry," the confidential informant said. "We also need to hold our local Sheriff accountable for his gross Constitutional negligence....he was nowhere to be found, and he's the top law enforcement official in the county. The sheriff potentially jeopardized the lives and safety of our local residents, as well as the Murrieta Police and U.S. Border Patrol Agents if the DHS came in with force."